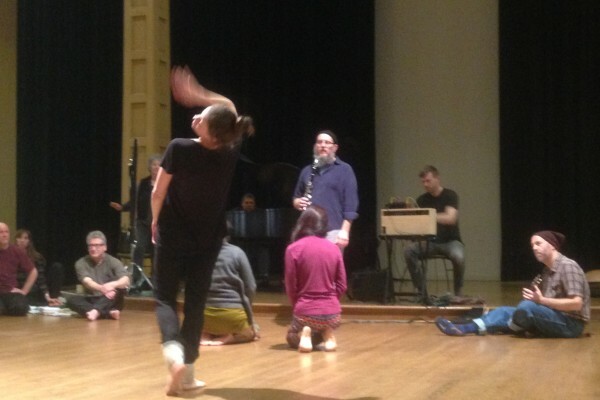 SIMF presents a performance of improvised dance and music, curated by Corrie Befort. Dancers: Corrie Befort, Allison Burke, Noelle Chun, Nahshon Marden, Karen Nelson, Amelia Reeber, Brandin Steffensen, Alia Swersky, Hendri Walujo, and Syniva Whitney. Musicians: Tom Baker (guitar), Ruby Dunphy (drums), James Falzone (clarinet), Haley Freedlund (trombone), Greg Kelley (trumpet), Ha-Yang Kim (cello), Dave Knott (sound), Cristin Miller (voice, electronics), and Steve Peters (field recordings). Stay for the musician/audience potluck at 5:30! Bring food! Hang out!